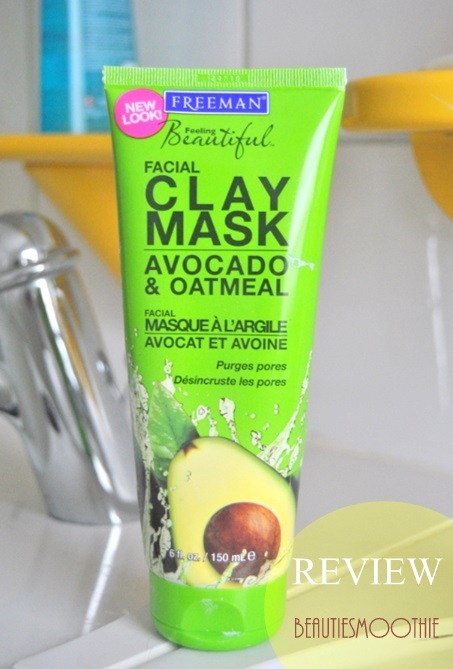 Today I'm showing you one of my favorite face masks. It's the magic combination of avocado and oatmeal. I bought one of the brand Freeman at the Dutch drugstore chain Kruidvat, but you can also order it online (link below). I use this mask once a week. But why are avocado and oatmeal good for the skin? Lots of vitamins & unsaturated fats that are good for both dry and oily skin. The healthy oils slow down the aging process. The oils get easily absorbed into the layers of the skin, stimulating the growth of new skin cells and improve blood circulation. Moistures dry skin, making you skin feel super soft. When cooked it's great to reduce acne, inflammation & redness of the skin. When used raw it exfoliates dead skin cells. Absorbs and removes excess oils and shimmer. Remove any makeup as usual. Put a thick coat of the mask on your skin using your fingers, making sure you cover your whole face (or choose to just cover problem zones, for example your chin, cheeks or T-zone). Avoid the sensitive skin around the eyes & mouth and your hairline. Let it sit for about 15-20 minutes. You will notice the mask will dry up, making your skin feel tight. Wash your face with warm water and remove leftovers with a cotton pad and some refreshing tonic. Moisturize your face as usual. You will be left with soft and healthy looking skin! Good luck (not eating your mask)!